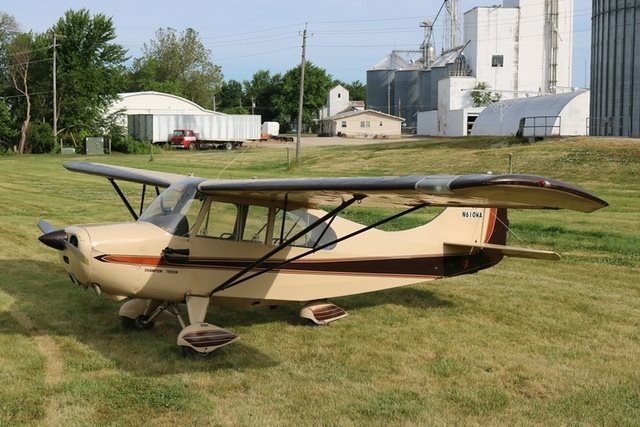 Welcome to the Kraemer Aviation / Flymall Wheels & Wings September 2018 Newsletter. 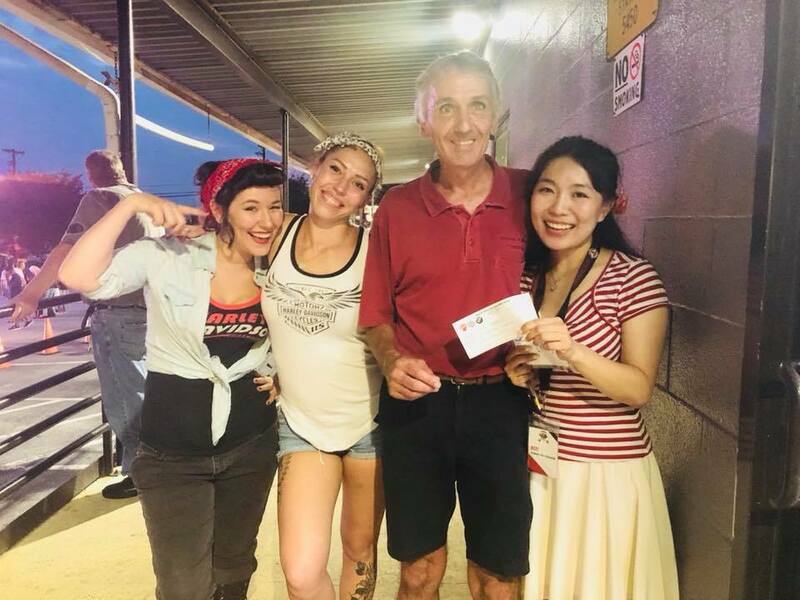 Click here for our September 2018 Newsletter. Click here for past newsletters. This month: What do President Lincoln, President Kennedy, and Ford have in common? A blind motorcycle racer. Wood burning gas cars. Evel Knievel’s motorcycles. And more. 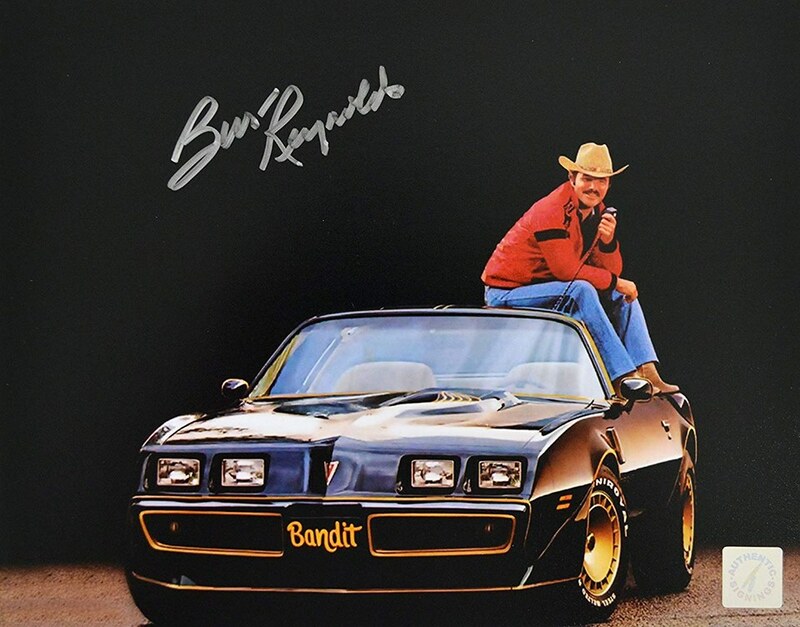 We did some research on sales of cars owned or associated with Burt Reynolds. They’re brining some serious money. The data is recorded in the Market Watch section of the Flymall. Click here to see the sale prices of Burt’s cars. Click here to compare Trans Am sale price with cars owned or associated with Burt and cars that were not. 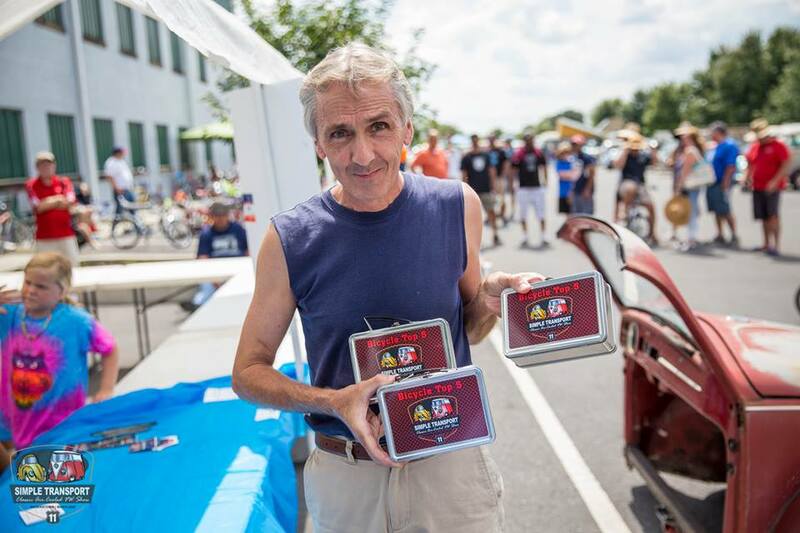 The Flymall Team hosted a Labor Day cookout for clients, students, and friends. Click here for pictures from the event. Alexander Winton, a famous car racer from the early 1900s. Alexander is the racer that Henry Ford beat and made a name for his cars. 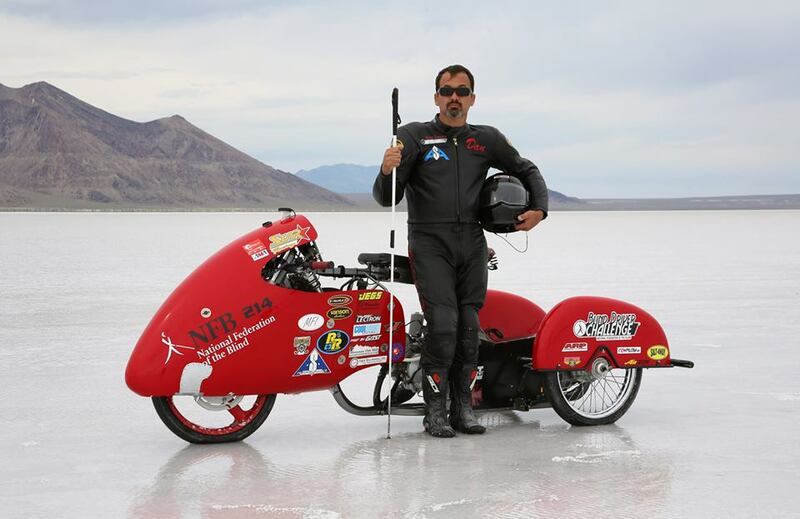 Dan Parker, a blind racer is setting land speed records. Click here for more reading on Dan Parker. 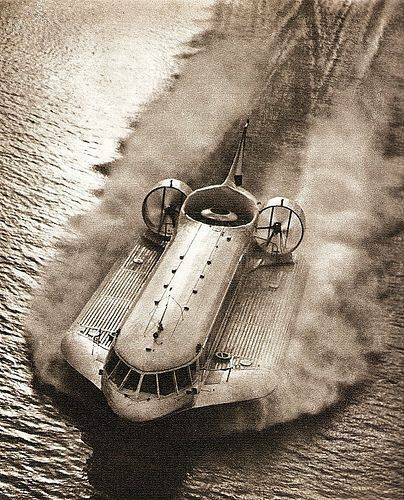 The Soviet Sormovich: A gas-turbine passenger hovercraft that operated on an experimental passenger line along the Volga River (Gorky – Cheboksary) in 1971-1972, which was 274 km (170 miles). A round trip from Gorky to Cheboksary took one day. Katherine Coleman Goble Johnson – A mathematician. She calculated the trajectory for the May 5, 1961 space flight of Alan Shepard. She also calculated the launch window for his 1961 Mercury mission. When NASA used electronic computers for the first time to calculate John Glenn‘s orbit around Earth, officials called on Johnson to verify the computer’s numbers; Glenn had asked for her specifically and had refused to fly unless Johnson verified the calculations. For more info on Katherine Johnson click here. What happened to Evel Knievel’s motorcycles? He was best known for jumping with a Harley-Davidson XR750, however he also used Nortons, Hondas, Triumphs, and American Eagles. But where are these bikes now? The Caesar’s Palace jump bike was a Triumph T120 Bonneville that was borrowed from a dealer and then returned. Word has it that this bike was converted into a chopper and has basically disappeared. Evel’s son (Kelly) owns the X2 Sky Cycle. One of the Wembley bikes (there were 3 of them), a complete bike has not surfaced yet, rumor is that someone may have the actual jump bike that was badly crashed. A Harley XR750 used in 1977 to jump a pool of sharks is also owned by Kelly. The Smithsonian Museum claims to have the 1972 Harley XR750 that Evel used to jump 14 buses in Kings Island. Experts say that the Smithsonian bike is actually bits and pieces of other bikes Evel used. Click here for more reading on Evel’s bikes. The bike (pictured below) that was built for and used in the movie Viva Knievel was actually for sale a few years ago. As of the writing of this newsletter we have not been able to find the sale results of the Viva Knievel bike. We do have some Evel Knievel items in our market watch section of the Flymall. 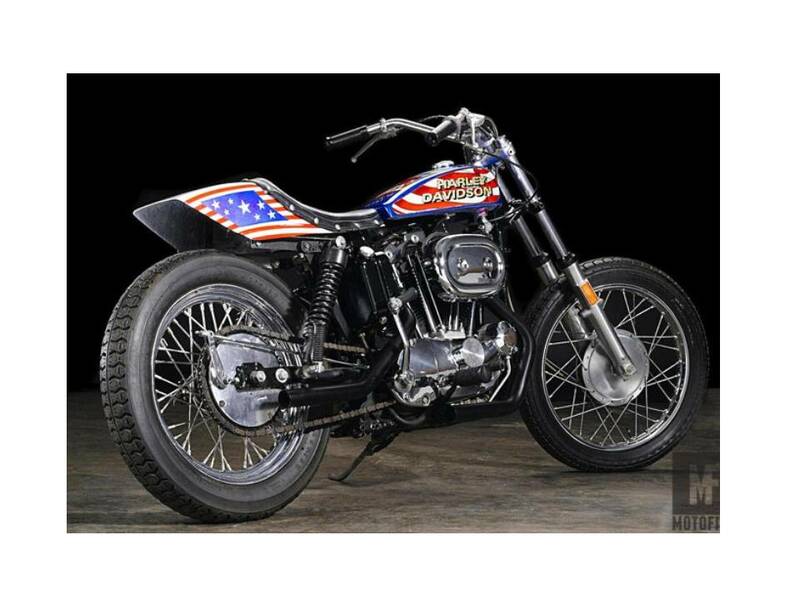 Click here to view the Evel Knievel items. 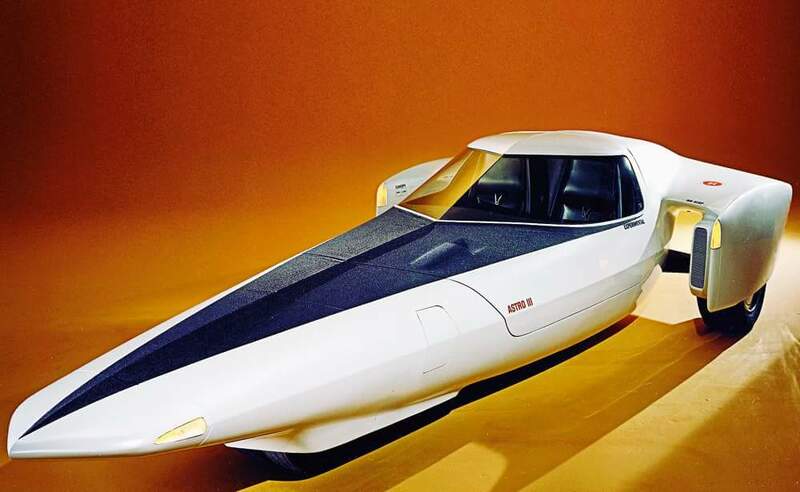 The “Stratocycle” from Viva Knievel was on ebay in 2015 with a starting bid of $200,000.00 USD. The auction ended with 0 bids. Click here for more reading on Evel’s bikes. 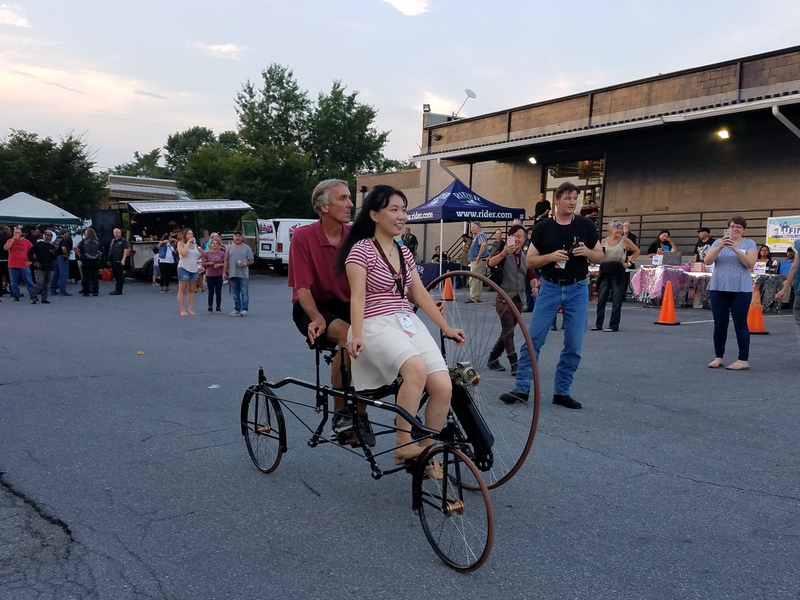 The Flymall team attended District Harley Davidson show August 17 2018 with our 1912 AC Delivery Trike and our 1886 Coventry Rotary. 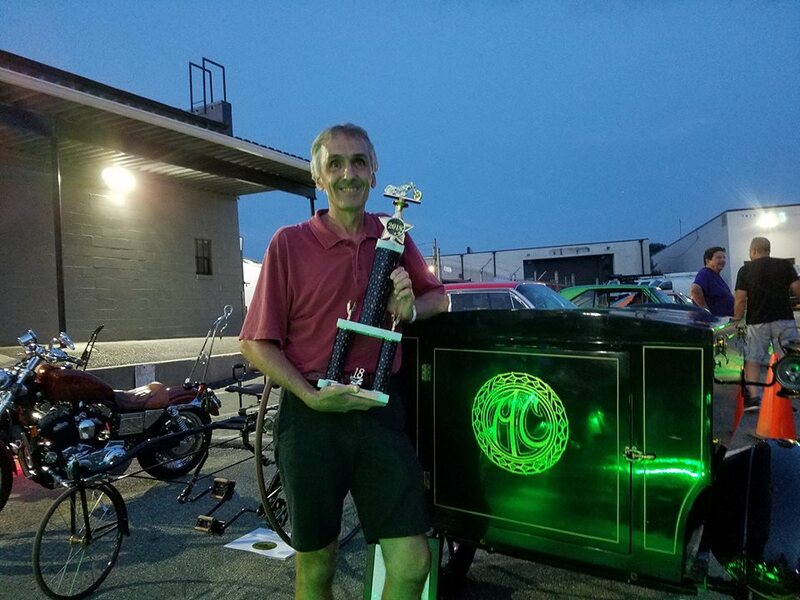 We won First Place at the show with the 1912 AC Delivery. Click here for more pictures from the show. Harry attended a Japanese Motorcycle Show with 2 of his Honda Gyro Motorcycles. 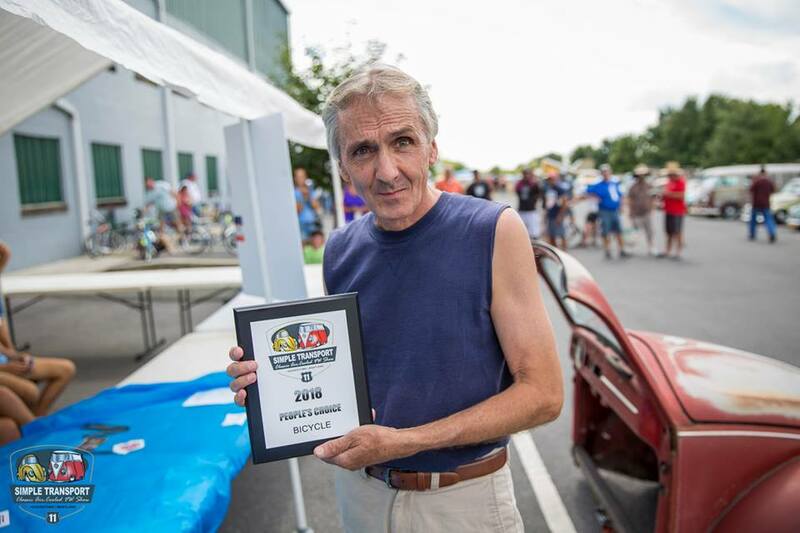 Harry’s 1984 Honda Gyro won a first place trophy and his 1986 Honda Gyro won a second place trophy. Click here for some pictures from the show. We attended the Simple Transport Show 2018. All 3 of Harry’s bikes won an award. Plus we won the People’s Choice award. Click here for pictures from the event. 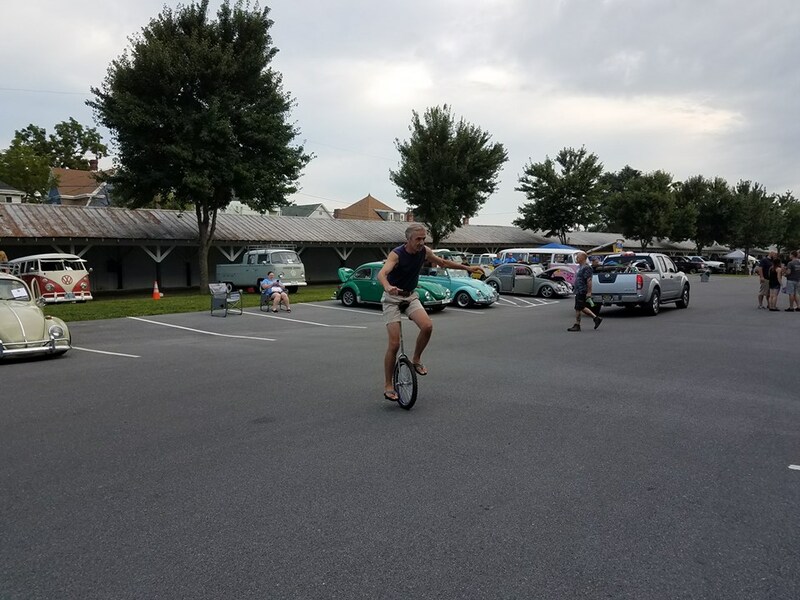 Here are a few pictures of Harry riding the unicycles at Simple Transport Show 2018. 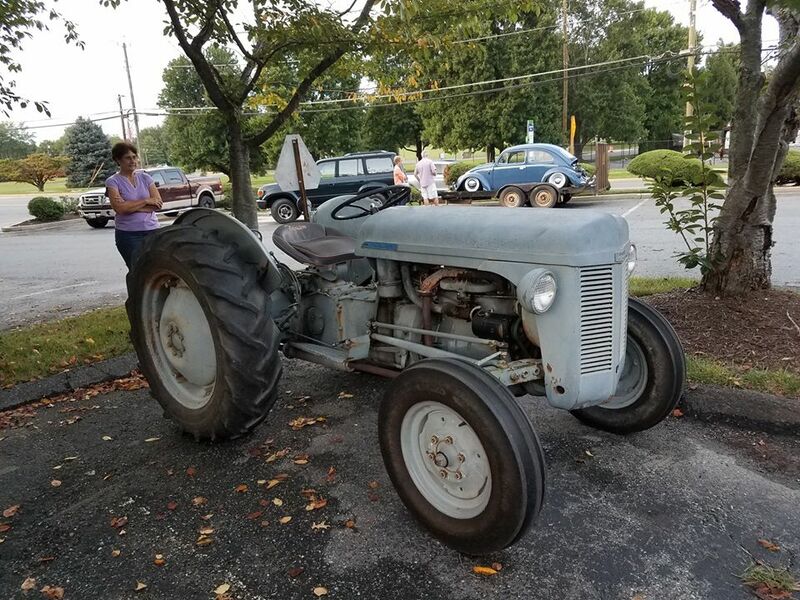 A local guy drove his vintage Ferguson tractor to one of the Laytonsville Cruise Ins. 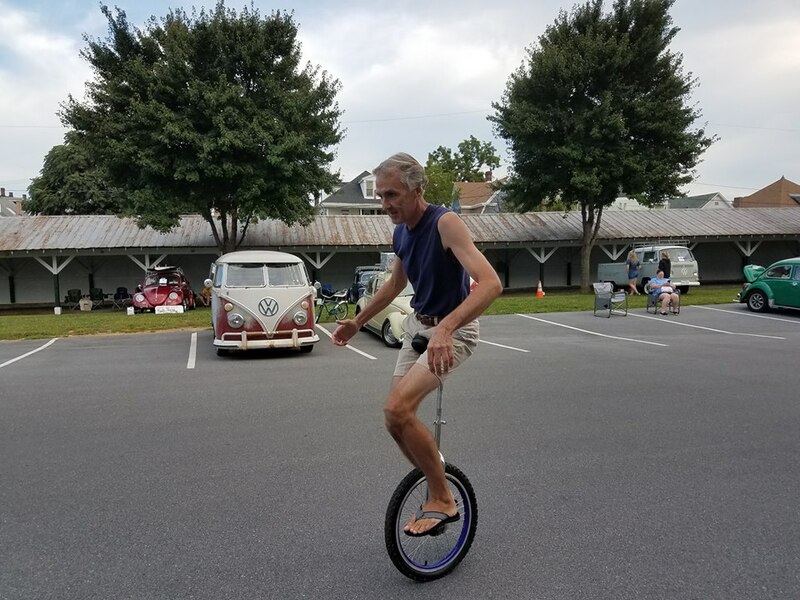 Click here for pictures of past Laytonsville Cruise In events. For more info on local Cruise Ins, visit Harry’s Classic Car Cruise in page. The Flymall Team also attended the Arcadia Show earlier in September. 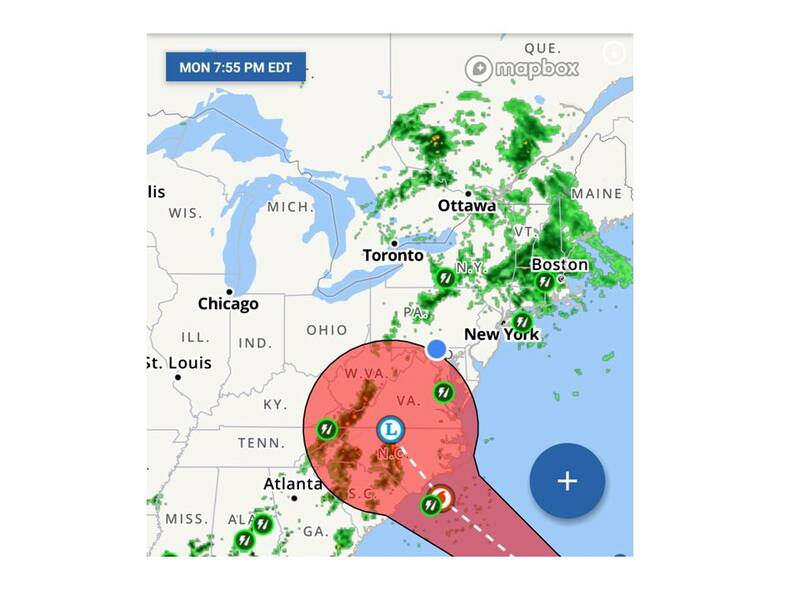 This is always a huge show. Full of vintage tractors, steam engines, and more. Click here for pictures from the event. 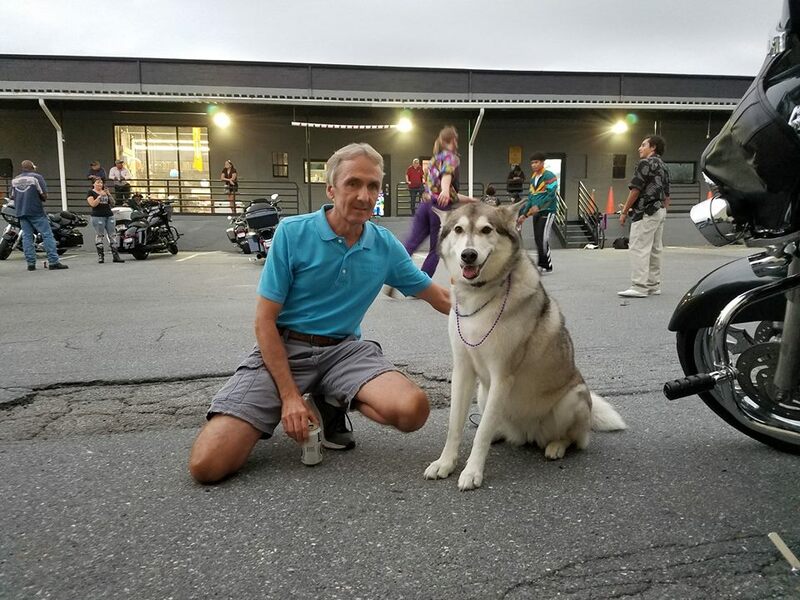 We were also on hand at The District Harley Davidson Bike Night. Good times, good food. Click here for pictures from the event. Jett is always very welcome at these events. What do President Lincoln, President Kennedy, and Ford have in common? Click here to find out. 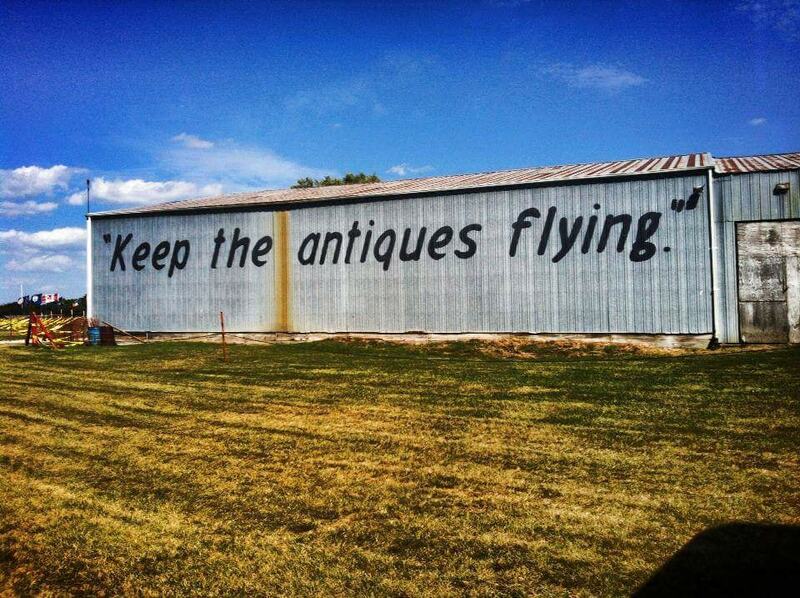 Barn Finds/Hangar Finds: A great hangar find. One of Charles Lindberg’s old aircraft is in Maryland and still flying. Click here for full story. Here is another hangar find for this month. 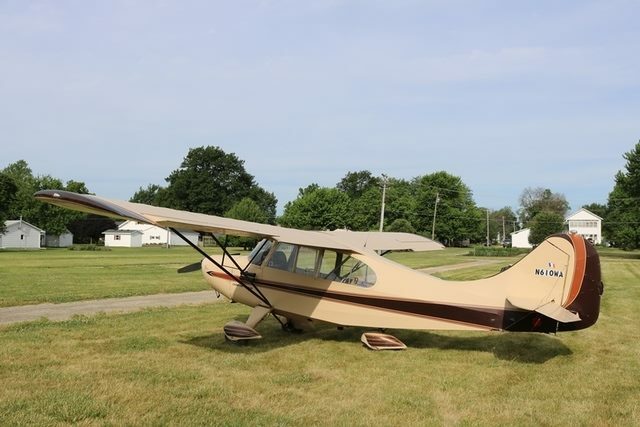 Checkout the unusual gear configuration on this rare bird. CFI Notes: Visit Harry’s Lesson Plan section of the Flymall for lesson plans and useful information regarding flight training. 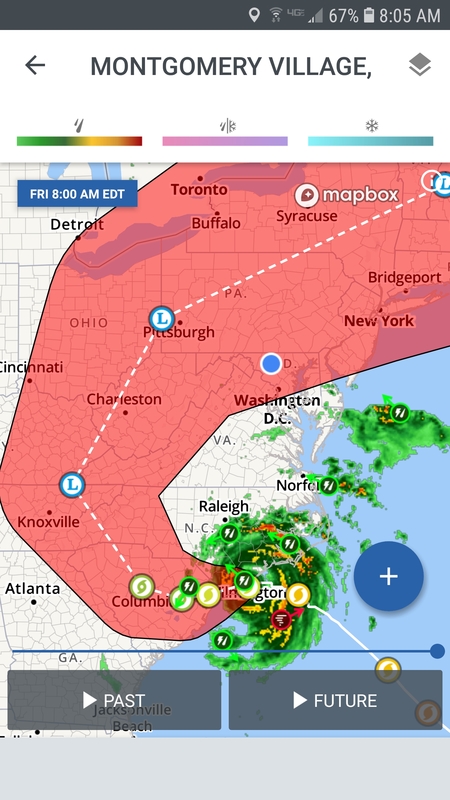 Weather in the news: Hurricane Florence was the recent “Big News” in the weather department. 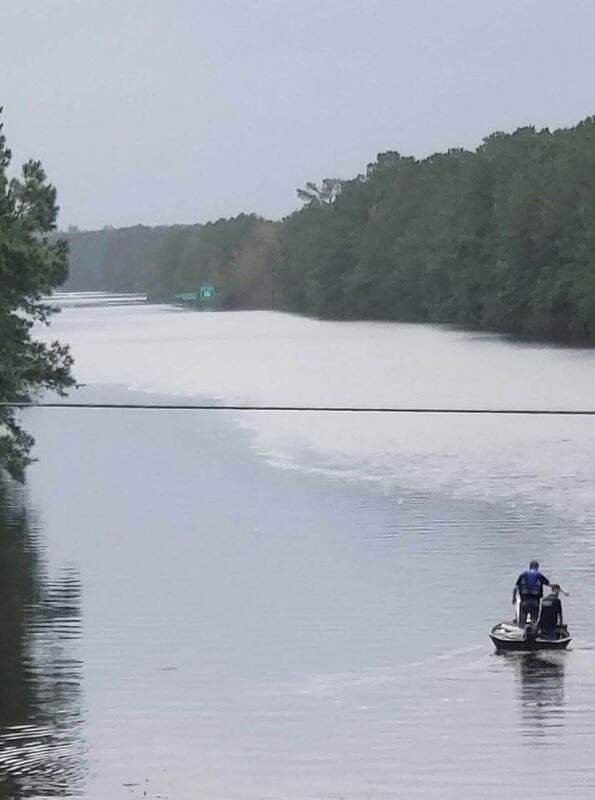 Folks down south are still cleaning up from Florence. This is a major interstate highway in North Carolina. Look closely, you can see the signs that are on the side of the highway. Three Wheel Association (TWA): Visit the TWA page on the Flymall for more information on the association. This month we are featuring some 3 wheelers by General Motors. Here is an interesting 3 wheeler from 1966. 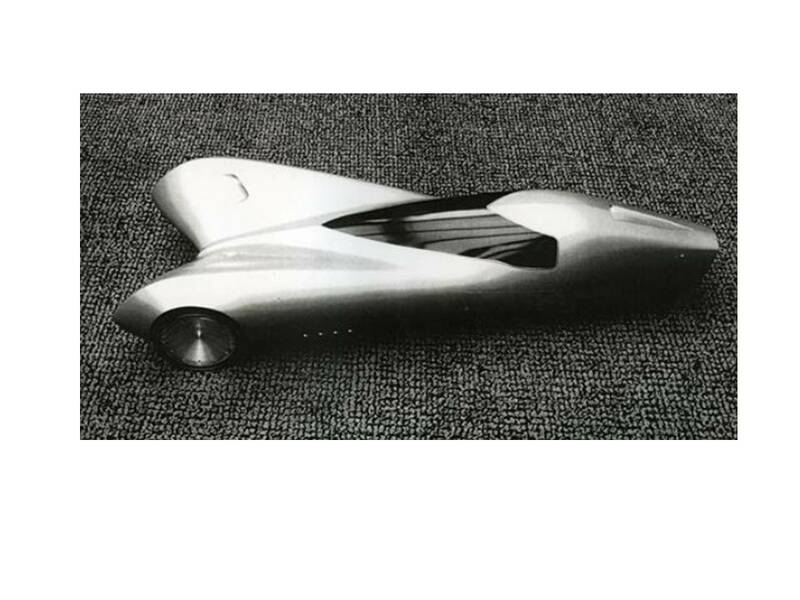 A Peter Maier design 3 wheeler for General Motors. Prototypes: This month we are featuring wood burning gas cars. In the 1920’s, German engineer Georges Imbert developed a wood gas generator for mobile use. The gases were cleaned and dried and then fed into the vehicle’s combustion engine, which barely needs to be adapted. The ‘Imbert’ generator was mass produced from 1931 on. 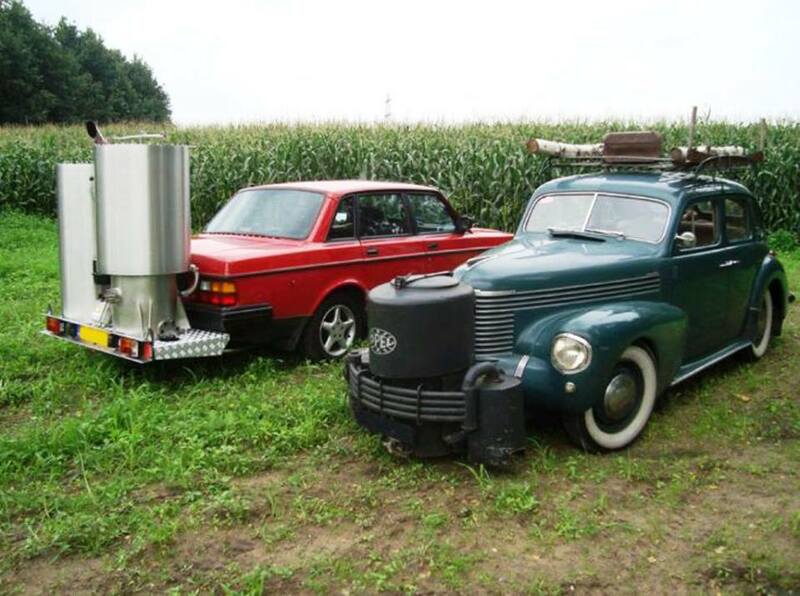 At the end of the 1930’s, about 9,000 wood gas vehicles were in use, almost exclusively in Europe. The technology became commonplace in many European countries during the Second World War, as a consequence of the rationing of fossil fuels. In Germany alone, around 500,000 producer gas vehicles were in operation by the end of the war. Wood ‘gasification’ is a process whereby organic material is converted into a combustible gas under the influence of heat – the process reaches a temperature of 1,400 °C (2,550 °F). The first use of wood ‘gasification’ dates back to 1870’s, when it was used as a forerunner of natural gas for street lighting and cooking, rising fuel prices and global warming have caused renewed interest in this almost-forgotten technology: worldwide, dozens of handymen drive around in their home-made wood-mobiles. Comments Off on Flymall September 2018 Wheels & Wings Newsletter - Share this on Facebook or Twitter.